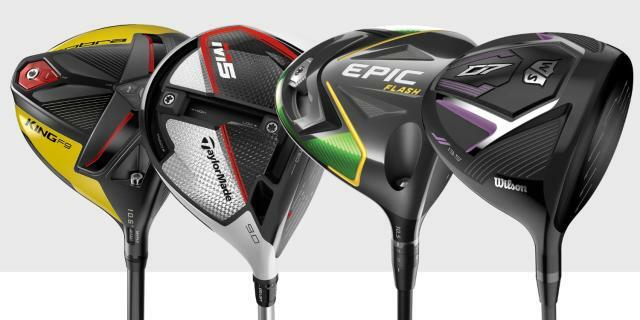 The major brands have all been releasing heavily promoted drivers for this year, making big statements on their technology and ability to improve your game. It can be an exhausting process to cut through the noise, but American Golf are on hand to help you get through the marketing and test four of the most notable launches, in addition to having a chance to winning the one that best suits you. American Golf staff will record the biggest distance gained on your best shot with each club and enter you into a prize draw to win a fully custom fitted version of the longest. And if you don’t win one of the top prizes, you’ll be one step ahead when it comes to choosing between these four drivers and the latest from all the biggest brands in golf when you get custom fit at American Golf for the Big Dog that will take your game to the next level in 2019. For full information on BATTLE OF THE BRANDS visit http://bit.ly/2TpC89p.